State Health Department is responsible in coordinating, monitoring and analyzing dengue prevention and control activities in the state. The State Health Department do activate and coordinate Dengue State Crisis Preparedness and Response Centre (CPRC) that operate daily. Daily monitoring on dengue cases to detect early outbreak or impending epidemic. Monitor the incidence of dengue cases by temporal and geographic distribution then identified the high risk areas. Daily review on dengue control activities and coordinate response measures to prevent further spread of dengue. Disseminate related information on current outbreak localities to health facilities, related agencies and community leaders in order to increase awareness and prompt action. Disseminate the information to the communities for early prevention activities. Assist communities to get latest information and health advices on dengue by phone, field visit or through social media. We monitor aedes density and its distribution since the information will assist us in making appropriate recommendation for vector prevention and control activities. The vector distribution is analyzed and map. Further plan on dengue control strategies with vector control team at the district will be discussed and implemented. Ovitrap is a tool that installed by health department or the community at the identified high risk areas that called the sentinel site. 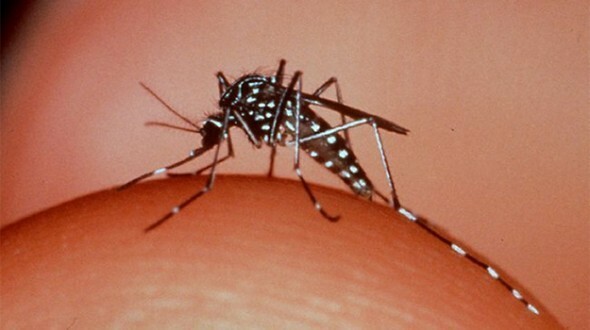 The purposed is to monitor gravid aedes mosquitos’ densities by collecting aedes eggs. Normally the ovitraps are checked weekly and the sentinel site is monitored for more than 6 months in order to determine the pattern of Aedes mosquito distribution and density. Area specific mosquito control strategies will be designed when The Ovitrap Index is more than ten pencent (10%). Communities must cooperate and should not disturb these ovitraps to ensure we got accurate results. With that, appropriate vector prevention activities can be done. We monitor adult mosquito population using sticky ovitraps. Vector control staffs will collect back the bioassay after space spraying and the quality of space spraying will be assessed. Strategies to improve on dengue control activities in this area will be formulated if the quality is not good, so that the risk of dengue transmission in this area can be minimized. Communities are advised not to disturb these ovitraps to ensure accurate results. Repeating aedes survey within 3 days by state vector team is regularly done in targeted localities. Comparision on the finding of both aedes surveys done as quality checking. Cooperation from the residences is required to allow us assessing your premises. Plan and coordinate the resources to accommodate the needs of health facilities and district health office in hyper-endemic and epidemic state including Personal Protective Equipment, Dengue rapid test kit and logistics. Specialized staff training to maintains the clinical management and vector control skills among health staffs. Offer technical advice on dengue prevention activities to the communities and any agencies. You may refer the information about dengue cases around your place through our website. If there are dengue cases in your area, immediately do search and destroy aedes breeding places.